Coming back to Europa League 2018-19 latest group standings for the round of 32, Group H is the only group decided till now with Frankfurt and Lazio sealing their fate into the knockout stages. From the premier league, both representatives, Chelsea and Arsenal have also progressed through the next round after remaining unbeaten for 4 matches. Group F and Group G are the tightest with the top 3 sides separated by just a point and could see the groups’ swing either way after the penultimate set of matches. The 12 groups will see the top two sides’ progress from each group with eight teams from the Champions League joining them for the round of 32. 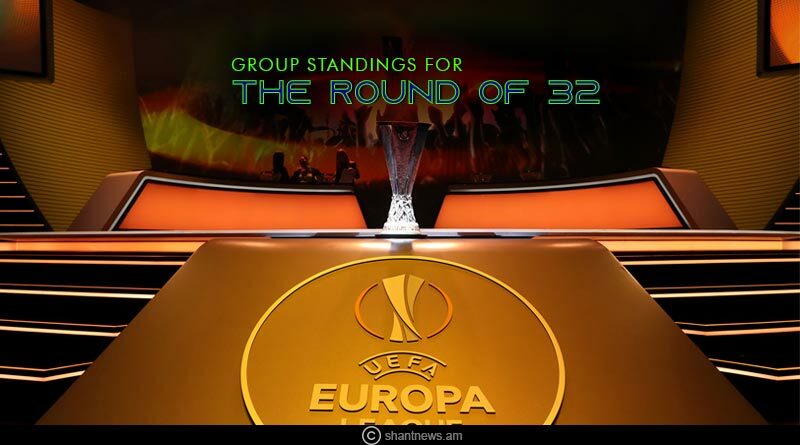 For more details on Europa League 2018-19 latest group standings for the round of 32 and related updates, like and subscribe to tentaran.com.